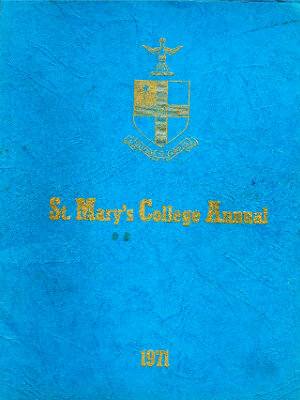 Click on the image to view the 1970 School Annual. 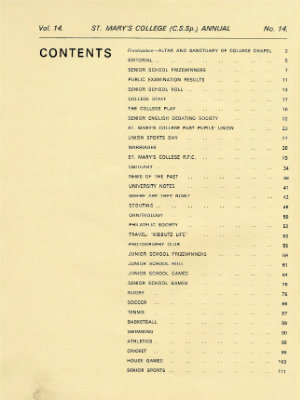 Click on the image to view the contents page of the 1970 School Annual. 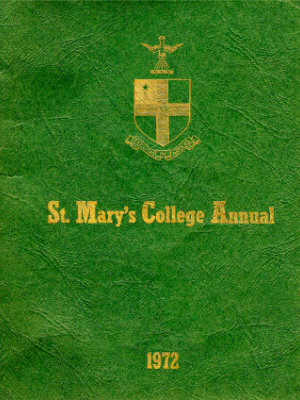 Click on the image to view the 1971 School Annual. 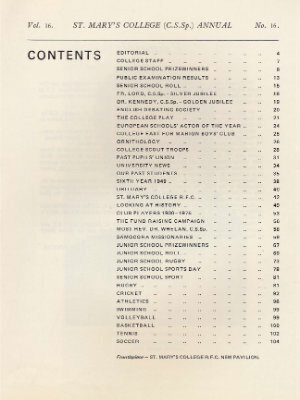 Click on the image to view the contents page of the 1971 School Annual. 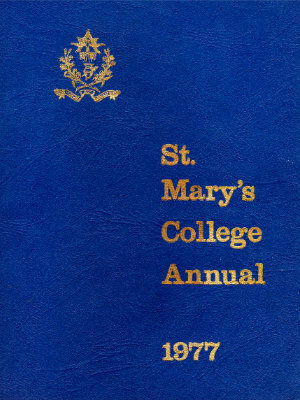 Click on the image to view the 1972 School Annual. 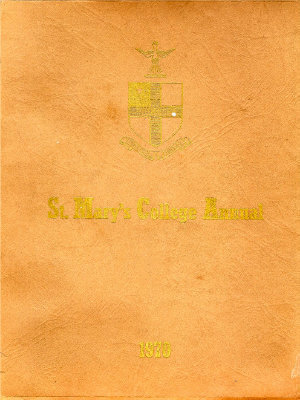 Click on the image to view the contents page of the 1972 School Annual. 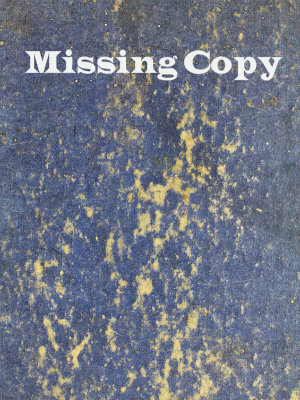 We do not have a copy of the 1973 School Annual. If you have a copy, please let us know at ppu@stmarys.ie. We would love to complete the collection. 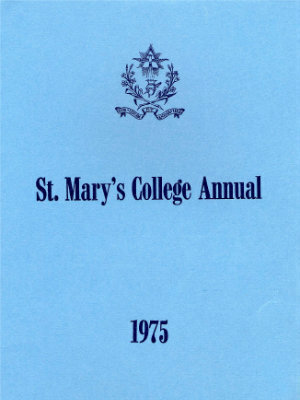 Click on the image to view the 1974 School Annual. 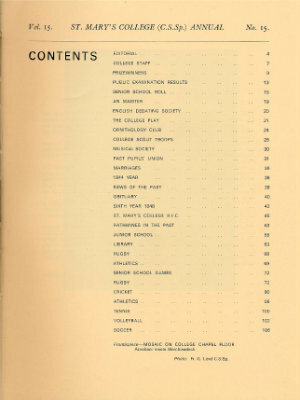 Click on the image to view the contents page of the 1974 School Annual. Click on the image to view the 1975 School Annual. 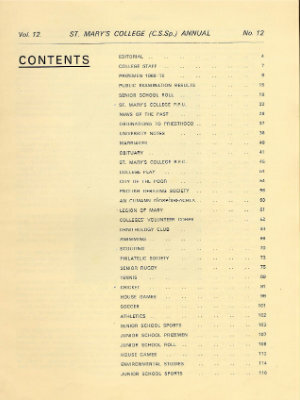 Click on the image to view the contents page of the 1975 School Annual. 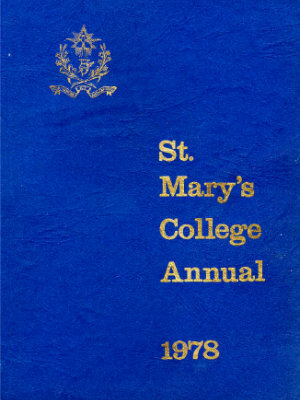 Click on the image to view the 1976 School Annual. 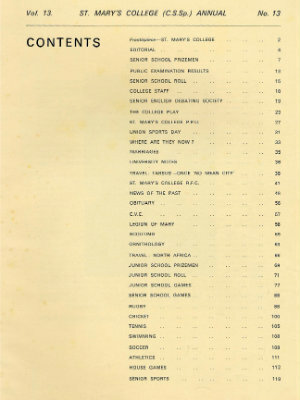 Click on the image to view the contents page of the 1976 School Annual. 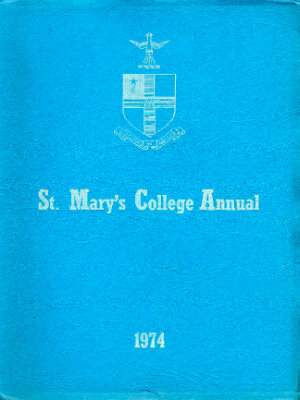 Click on the image to view the 1977 School Annual. 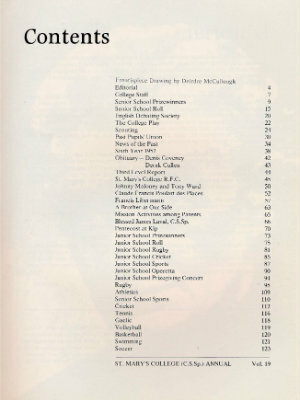 Click on the image to view the contents page of the 1977 School Annual. 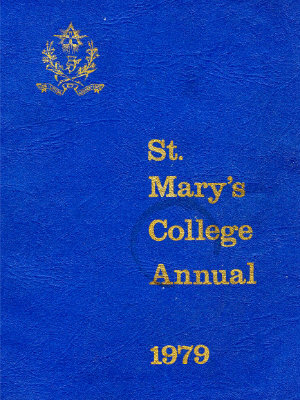 Click on the image to view the 1978 School Annual. 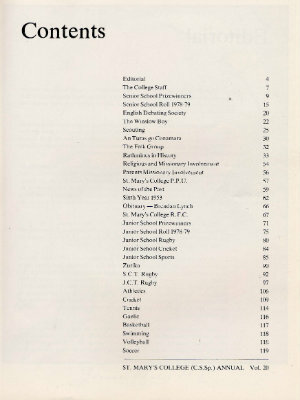 Click on the image to view the contents page of the 1978 School Annual. Click on the image to view the 1979 School Annual. Click on the image to view the contents page of the 1979 School Annual.